Chapel Hill, N.C. – Moe’s Southwest Grill locations in the Triangle, in conjunction with the North Carolina High School Athletic Association (NCHSAA), have selected Alex Bass from Cardinal Gibbons High School in Raleigh, N.C., and Collin Medin and Gina Smith from Millbrook High School in Raleigh, N.C., as recipients of the Moe’s Hometown Hero award for the month of October. The Moe’s Hometown Hero program offers a platform where school administrators, personnel, parents, students, and school community members can nominate deserving individuals for special recognition on a monthly basis during the school year. Individuals can be nominated as a Moe’s Hometown Hero for serving as a community role model and making a difference in the lives of the students and schools, exhibiting sound citizenship and community service, excelling in academics and/or athletics (students), and/or positively impacting their peers. Currently, this platform is available to a targeted group of NCHSAA member high schools located within the Triangle area. 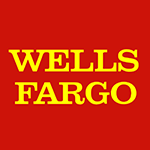 Each recipient receives a commemorative award and a Moe’s Southwest Grill® gift certificate. Alex Bass is the sports information director at Cardinal Gibbons High School. He is a Moe’s Hometown Hero because he consistently looks for ways to help students. At Cardinal Gibbons, Bass covers all Crusaders athletic programs and makes sure each and every team gets the recognition that they deserve. He is also a huge asset to the NCHSAA, helping with regional basketball, volleyball, and swimming and diving state championships. Alex has a passion for high school athletics and is a vauble asset to both Cardinal Gibbons and the NCHSAA. "The North Carolina High School Athletic Association, in conjunction with Moe’s Southwest Grill of the Triangle, is proud to honor and recognize Alex Bass, Collin Medina and Gina Smith with the October 2018 Moe’s Hometown Hero awards,” said Que Tucker, commissioner of the NCHSAA. “Each of the winners has demonstrated a willingness to surpass what is expected of him or her to positively impact the lives of the students and their respective communities. It is their dedication to their communities that truly make them Hometown Heroes." 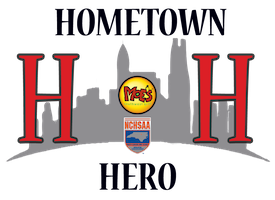 Moe’s Southwest Grill® locations in the Triangle have joined together with the NCHSAA for 2018 as the Official Triangle Fast Casual Restaurant Partner to offer the Moe's Hometown Hero recognition program.